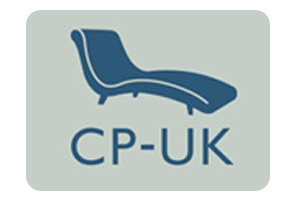 Psychological consultation and professional psychotherapy by a British psychoanalyst (IPA, UK-CP), psychotherapist (UKCP, CAP, SSPP) and psychologist (BPS). Dr Joseph Dodds offers psychotherapy for a wide range of psychological problems such as depression, stress, anxiety, eating disorders, phobias, relationship issues, obsessive compulsive disorder, trauma, personality disorders, feelings of inner emptiness, life dissatisfaction, and just plain unhappiness. Getting help when you need it can be a difficult and stressful task at the best of times and even more so in a new country where navigating the system and getting past the language barriers can sometimes seem insurmountable. Psychological problems are more common than many people think and seeking help is not a sign of weakness, but the first step towards recovery and growth. Psychoanalysis and Psychoanalytic psychotherapy are exploratory psychotherapies ideal for those interested not only in symptom reduction but who also want to better understand their emotions and relationships, discover deeper aspects of themselves, and open up new more creative and fulfilling ways of being and living. All sessions are conducted in English. Various courses are also offered for individuals and groups. Please write here for more details. Appointments take place in Mala Strana, Prague 1. NHS Code: 8G919. No. 8764. Chartered Psychologist (CPsychol). Associate Fellow (AFBPsS).